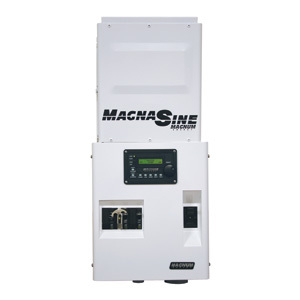 The MMP – Mini Magnum Panel is an inclusive, easy-to-install panel designed to work with one Magnum MS-AE, MS, RD or other non-Magnum inverter/charger. 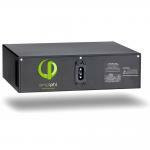 The MMP features a small footprint and comes prewired for fast installation. Circuit breakers and the optional remote control mount on the front of the cabinet. Dimensions are 12.5" wide x 18" tall x 8" deep. They are ETL listed to UL 1741 and CSA C22.2 107-01. Each MMP includes One DC breaker – 175A or 250A, One AC bypass breaker – 30A dual pole or 60A single pole, One AC input breaker – 30A dual pole or 60A single pole, a 500A/50mv shunt, DIN rail provided for up to eight DC mini breakers. 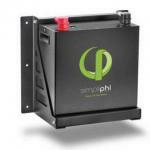 Panels are available for inverters with 120 VAC output and 120/240 VAC output.system.